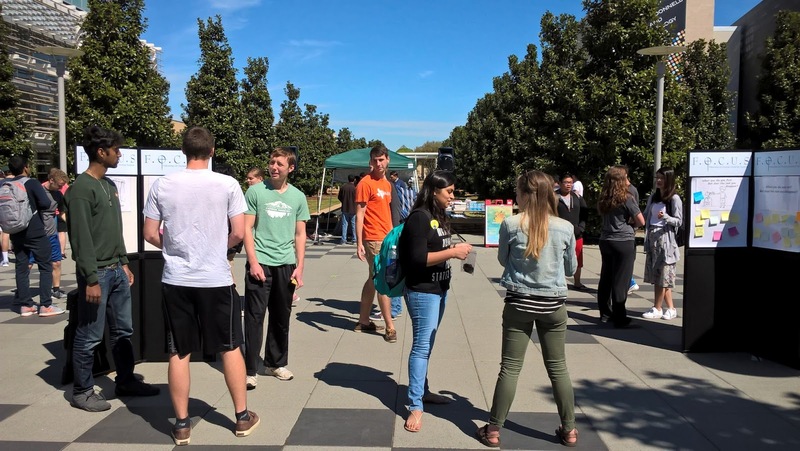 Confessions of a Campus Missionary: Sirak's March Ministry Update! My friends! My people! My team! We had a group of students from Western Washington University visit us during their spring break to help us with our week-long evangelism initiative (see pictures below). It was such a blessing to have them and so many great spiritual conversations came out of that week. 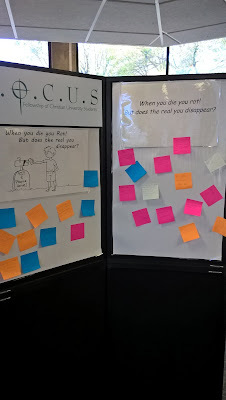 I posted some pictures of our displays that we used to engage students in spiritual conversations. 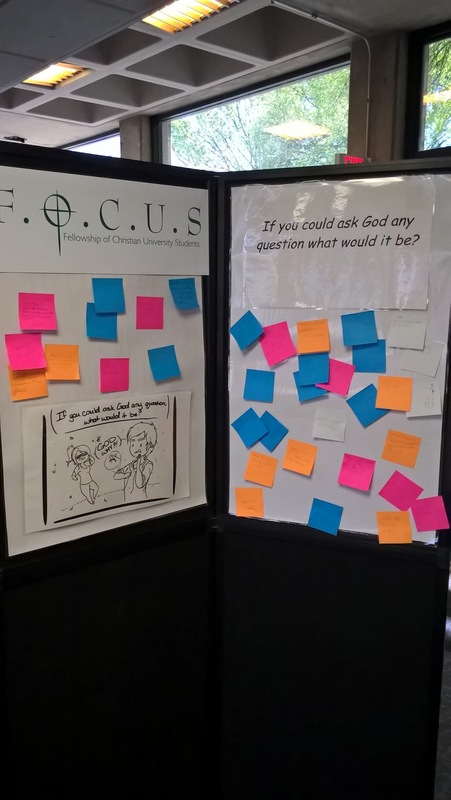 "If you could ask God any question what would it be?" 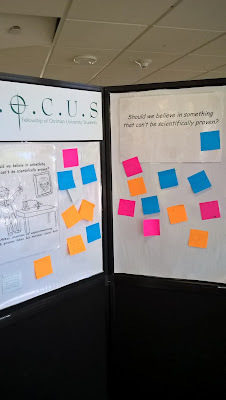 "Should we believe in something that can't be scientifically proven?" After outreach at Richland, our students all gathered to play some board games and hang out during the afternoon. 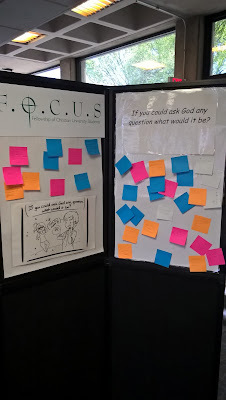 We did outreach at UTD and our displays were such a great tool to help spark spiritual conversations. "When you die you rot! But does the real you disappear?" Our Friday Night Fellowship gathering! Victoria (one of our interns) preached that evening and did such a great job. To kick off our outreach week we had an all-campus worship event! It was so cool to see the many different campus ministries come together and worship together as a united group. 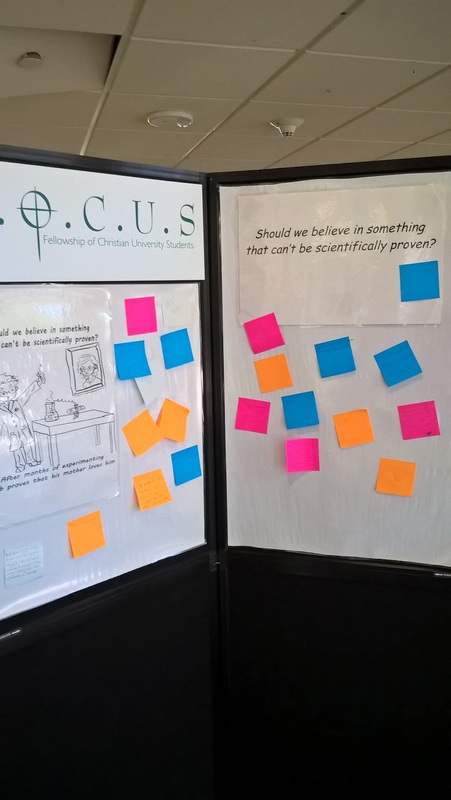 We did outreach at Richland College and our displays attracted many individuals to come and engage us in spiritual conversations. 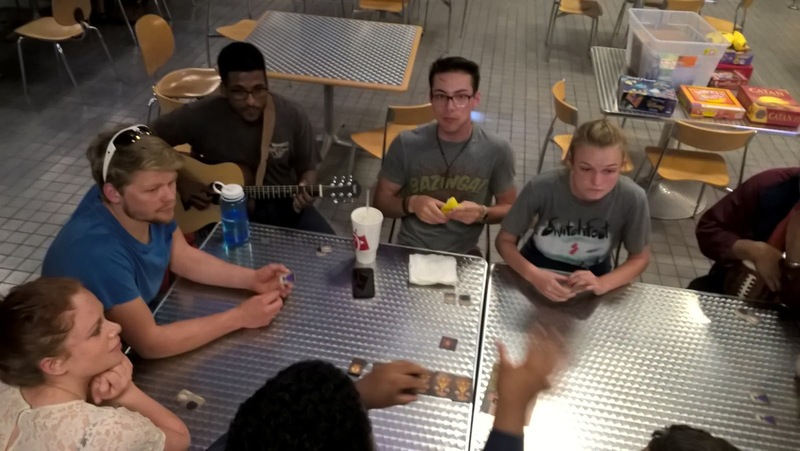 Pictures of our outreach at Richland College. (From left to right: Brandon, Andrew, Dylan and me (Sirak)) Our good friend & FOCUS Alum, Dylan, is going to be moving to San Diego to pursue his dentistry career and we all went out to top golf to reflect on past years and pray over Dylan. We are wrapping up the year here pretty soon and please be praying as we strive to finish the year well and push our students to continue their growth in Christ. I am so thankful to have you all as my partners in ministry and please don't hesitate to let me know how I can be praying for you!